After more than 22 years at Michigan Tech, Dr. Dana Johnson, Professor of Supply Chain and Engineering Management with an affiliate appointment in the Department of Mechanical Engineering-Engineering Mechanics, retired from Michigan Tech at the end of fall semester. Johnson’s time at Tech dates back to 1976 when she was a freshman. 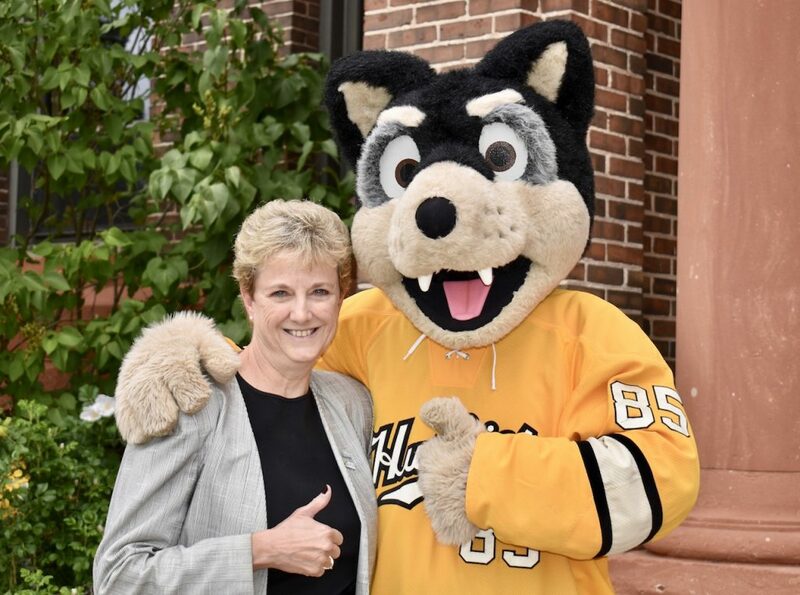 After completing her MBA and PhD, Johnson returned to Michigan Tech as an instructor of accounting and finance in the School of Business and Economics. Her career in industry spanned General Motors Corporation, General Physics Corporation, Grant Thornton, and Competitive Advantage, a consulting contract firm she owned. 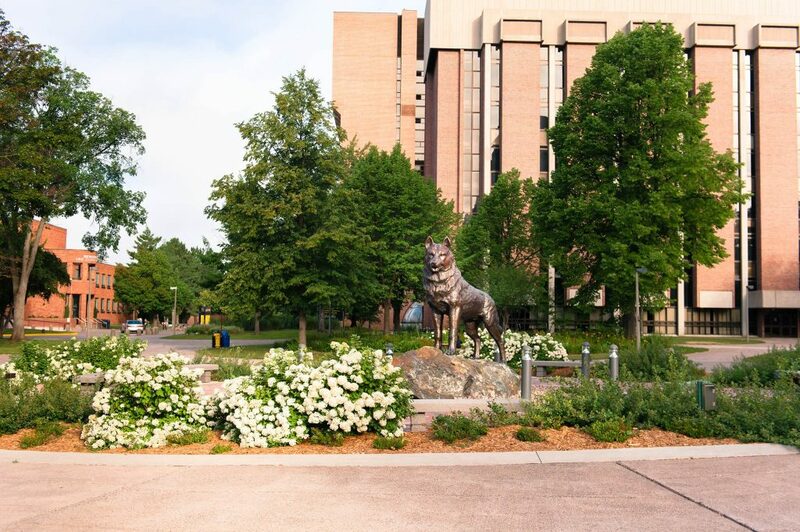 At its regular meeting on December 14, the Michigan Tech Board of Trustees granted Johnson emerita status. Earlier in the semester, Johnson served as opening keynote speaker for the 21st Excellence in Services International Conference (EISIC) held in Paris, France. In “Impact of Service Quality on Overall Patient Satisfaction,” Johnson summarized the culmination of multivariate modeling of psychometric variables as predictors of patient satisfaction. She was the first woman keynote speaker in the history of the conference. 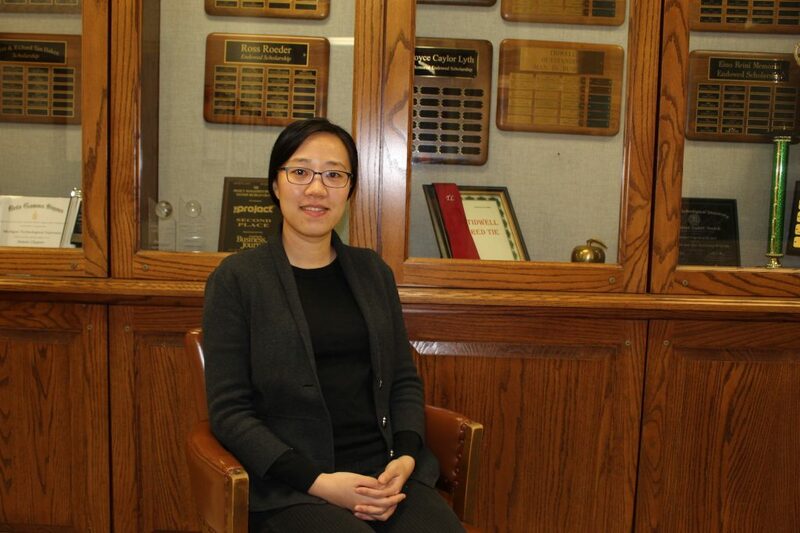 Jun Dai is a visiting assistant professor from Southwestern University of Finance and Economics in China. She received her PhD in 2017 from the Rutgers Business School. Her research interests include applying new technologies such as blockchain, industry 4.0, and data analytics for the auditing profession. In addition to conducting research, Dai will be guest lecturing finance and accounting classes during her time on campus. Earlier this month, Dai presented to the 43rd World Continuous Auditing and Reporting Symposium. The theme of the symposium was disruptive innovation in accounting. Her presentation, “Utilizing Blockchain and Smart Contracts to Enable Audit 4.0: A Case of Accountability Audit of Air Pollution Controls In China,” explored the potentials of using smart sensors, Internet of things, blockchain, and smart contracts to reengineer current auditing procedures to be more agile, precise, and transparent. 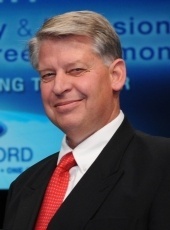 Dai serves as an associated editor of the Journal of Emerging Technologies in Accounting and has published in academic journals and professional journals, including Accounting Horizons, Journal of Information Systems, International Journal of Accounting Information systems, Journal of Emerging Technologies in Accounting, and the CPA Journal. Sit down with Russ Louks, management information systems professor of practice in Michigan Tech’s School of Business and Economics. At its annual faculty retreat last week, Dean Johnson, dean of the School of Business and Economics (SBE), presented for the first time awards for excellence in research and service. Dana Johnson, professor of supply chain and engineering management, was the recipient of the research award. Johnson will receive funding toward faculty development for her current stream of research to predict which patient psychometric attributes and demographic variables impact overall patient experience. This will extend prior research by working with Aspirus Keweenaw who utilizes the Clinician and Group Consumer Assessment of Healthcare Providers and Systems. Joel Tuoriniemi, professor of practice in accounting, was acknowledged for his dedication to service. “There are many deserving faculty members in SBE who work to advance our strategic vision. I am fortunate to be surrounded by motivated students who demand a rigorous experience and serve as ambassadors. It makes my job promoting the Master of Science in Accounting program to future Huskies and employers that much more rewarding,” says Tuoriniemi. In addition to the new honors in research and service, the School each year recognizes exemplary teaching. The addition of two new awards promotes the hard work School of Business and Economics faculty dedicate to blending business and technology curriculum to meet student and industry needs of the future. “Faculty have expectations in the realms of teaching, research, and service. These new awards are designed to recognize faculty leaders in the School of Business and Economics,” says Dean Johnson. Associate Dean Mari Buche began her post July 2.